MALAYSIA 2017 SERI PADUKA BAGINDA SHEETLET UN-MOUNTED MINT NEVER HINGED NICE AND CLEAN CONDITION. (Sheetlet with 1 value (1v M/S): RM3. 3) Select each item and 'Add to Basket'. PLI SUR LE N° 55. Satisfait ou remboursé. voir les conditions plus bas dans l'annonce. Si vous remportez plusieurs lots, vous ne paierez qu'une fois le port pour un envoi groupé. Possibilité de valeur déclarée pour montant supérieur. 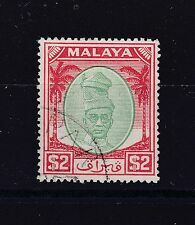 Imperforate Sheetlet with 1 value (1v M/S): RM3. 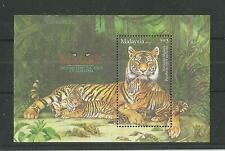 Sarawak: 1971 Butterfly set, lightly mounted mint. We list in both the UK and USA. See Pics for Info. Any problems WILL be an honest mistake and I will be happy to resolve it! ((80 sen) - Kinabatangan River. Malaysia 2018 Rivers - Mint Never Hinged (MNH). Set of 2 values (2v Set) You will be back for more! 3) Select each item and 'Add to Basket'. Die Briefe haben generell Spuren der Lagerung, des Alters und ggf. Wir antworten Ihnen dann gern umfassend. 2009, Malaysia, Block 134, . Bei gestempelten Ausgaben kann auch die Abstempelung variieren. Der angegebene Preis ist ein Endpreis zzgl. Abholung nur nach vorheriger Absprache. Malaysia SATZ auf FDC Kuala Lumpur 25.05.87, einwandfrei wie abgebildet (selbstkl. stark verbilligt). Schauen Sie doch mal rein. We are not a professional stamp dealer or stamp expert. I do not even own a Scott catalog. (Twenty years …. Rest of the World. UP TO £25 total order value). which is one of the largest in the UK. We also deal in autographs, many of which we have acquired. OVER £25, the order will. we have been here for. MALAYSIA 2012 AROMATIC PLANTS SG,1867-1868 UN-MOUNTED MINT NEVER HINGED NICE AND CLEAN CONDITION. Set of 2 values (2v Set): 60sen, 80sen. You will be back for more! April 1988, FRAMA-ATM, einwandfrei wie abgebildet, Topp-Frankatur. Abholung nur nach vorheriger Absprache. Schauen Sie doch mal rein. Inhaber: Johannes Altmann. D-85301 Schweitenkirchen. ANY REASONABLE OFFER IS ACCEPTED!!. Major Faults such as Pinholes, Major Creases, Thins and Tears that are not noticable from the scan are always Declared. 2008, Malaysia, Block 126, . Bei gestempelten Ausgaben kann auch die Abstempelung variieren. Der angegebene Preis ist ein Endpreis zzgl. Siehe Scan mit besseren Aufdrucken, MiNr. cancelled and hingend. Malaysia 2018 Blowpipes - Mint Never Hinged (MNH). Set of 3 values (3v Set): 60sen x 3. You will be back for more! 4,00 Euro Katalogwert laut Michel Südostasien 11. 2,60 Euro Katalogwert laut Michel Südostasien 11.